According to Gottfried Tawa of Kaminimbit village, this mask represents a 'gawi' (eagle). The mask would have been fixed to a large, woven 'tumbuan' costume that completely covered a man's body during a performance or ceremony. Tony Tuckson , Sydney, 2006, 17 (illus.). Photograph showing 1973 Aboriginal and Melanesian art display at the AGNSW, with works collected by Tony Tuckson on his 1965 trip to Papua New Guinea. Art Gallery of New South Wales Quarterly (vol. 13, no. 4) , Sydney, Jul 1972, 697 (illus.). 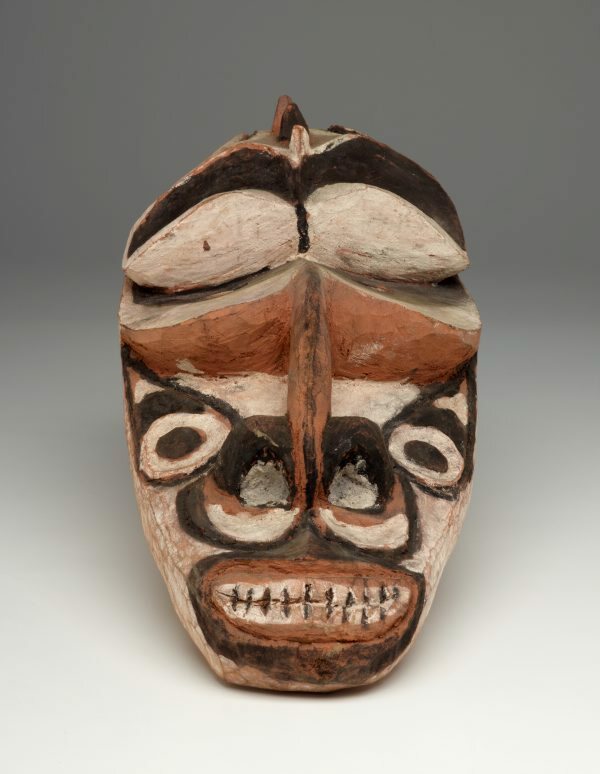 "The primitive art area is temporarily situated on the first floor. Exhibits are from the Sepik River, New Guinea, along with a grave-symbol figure from New Hebrides, in the left foreground". 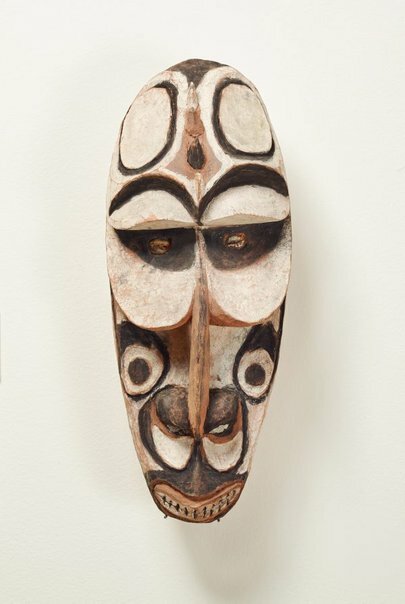 The 'Mask' is seen on the wall, together with other works collected by Tuckson in the 1960s and early 1970s.